I wanted to take this opportunity to email you regarding the staff at the Westbury Pet Supplies Plus. 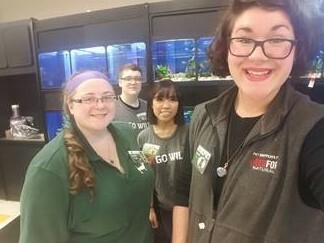 I spend quite a bit of money on my animals and only give them the best of the best and that is how I feel about your staff at the Westbury store. From manager Ally to each and every team member here I believe I get the best service and best experience every time me and my dog Luna come here. Since the day 1 brought her in over three years ago...well, at 6 months she was a petrified pup, but Ally and everyone else went above and beyond welcoming her into the store. Now she goes charging in! If she hears a voice she knows from an employee she will drag me to the aisle that they are working in to say hi. It's to the point that Luna will not go into any of your competition stores because she will not get the attention, She will actually drag me out of your competition's store. I wanted to say thank you so much for this staff!